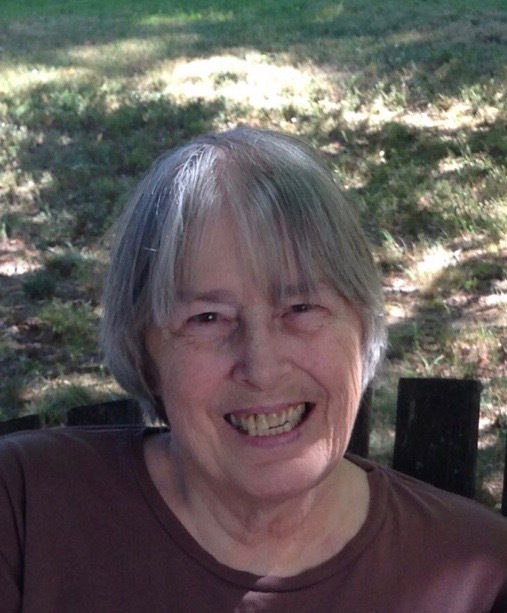 Sara Reynolds Stewart, 78, died peacefully on December 2, 2018 at Saint Francis Hospital and Medical Center in Hartford, CT. Sara was born on May 8, 1940 in Hartford, CT to Kenneth James Reynolds and Francis Jane (Walls) Reynolds. She spent much of her childhood in Colchester, CT and later raised her family in Rocky Hill, CT.
Sara is survived by her husband, John W. Stewart, of Rocky Hill, two sons, Andrew Stewart, of Westford, MA, and Kenneth Stewart and Karen Delano, of Rocky Hill, CT, two daughters, Elizabeth Stewart, of Lowell, MA, and Jennifer and David Bosso, of Berlin, CT, her grandchildren, Kimberly, Geoffrey, and Erin, several nieces and nephews, and her cat, Sir Arthur Elvis. In addition to her parents, she was predeceased by her brother, Victor Emmanuel Jorgenson, and her beloved sister, Jane Hayden Reynolds. Sara was an avid quilter who loved reading, artwork, nature, crossword puzzles, and listening to music, particularly from Elvis and George Jones, among others. For many years, she was the Director of the Connecticut Animal Welfare League, rescuing hundreds of animals and finding loving homes for them. She took in many cats and dogs to nurture back to health and to become a part of her family. Sara spent many memorable days with family and friends in Lake Hayward in Colchester, and loved spending time in Maine. She was a loyal friend who always took special interest in the skills, talents, interests, and experiences of others. She will be deeply missed by the many people who were privileged to know her friendship, wit, sense of humor, and compassion. Services will be held at the convenience of the family. The family wishes to thank the medical staff at Saint Francis Hospital and Medical Center, as well as the staff at Maple View Health and Rehabilitation Center, for their support, guidance, and kindness.